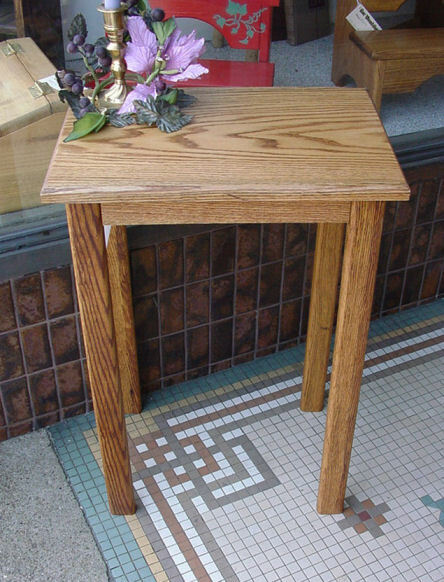 A simple small oak table. A Lamp table or small oak desk. Remember, we can make it any size and color that you want. "Custom made" is our specialty.